Our family has really been enjoying celebrating Advent this year. In addition to the free Advent devotions and Jesse tree ornaments I posted already, we've been using the Advent calendar on DVD 2. I have to say we've been really enjoying this video! This edition focuses on Christmas carols and the history behind them. Each day there is a mini documentary about 5 minutes in length. They cover all the interesting points well and are still short enough to keep a young child's attention. In addition they also have an advent coloring book, half an hour of instrumental Christmas music, daily Bible readings in 4 versions and a printable songbook. I'm hoping to get a copy of the original version as well. It covers the history of Christmas symbols. 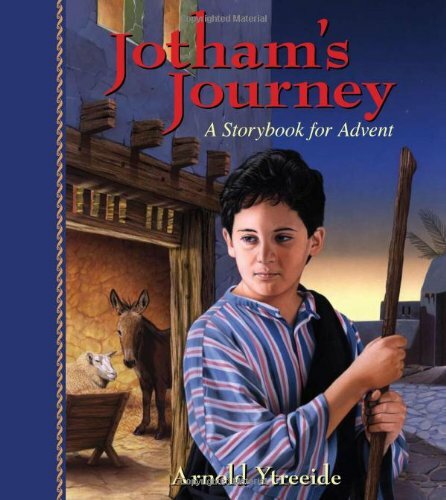 We have also been reading Jotham's Journey. I thought at first the chapters might be a little long for our 3 year old, but no even she loves the story. They can't wait each day to find out what happens to Jotham next. I also like how Bible history and scriptures are woven into the story. Has anyone read the other two books in the series? Are they as good? Time For A Winter Nature Walk!